Join us for a Birthday Party, Bachelor/ette Party, Corporate Event, Drop-in Night, or just ’cause! BIRTHDAY PARTIES. CORPORATE EVENTS. BACHELOR/ETTE PARTIES. 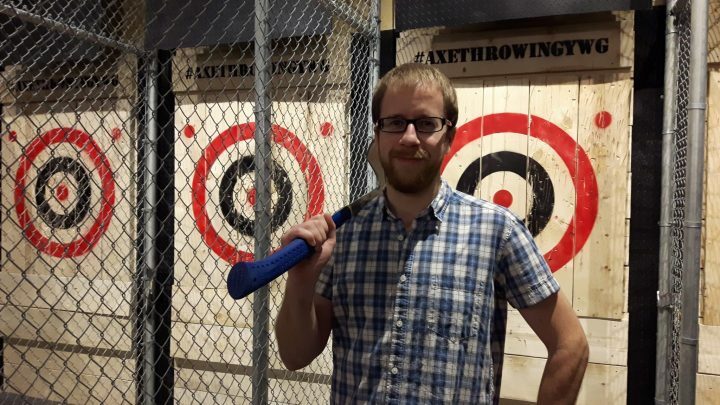 AXE Throwing Winnipeg offers a unique experience where you can challenge friends and colleagues to an axe-throwing competition. Earn the most points by throwing bullseyes and aces to win a match. Become the tournament champion earning serious bragging rights and the admiration of your peers, forever. 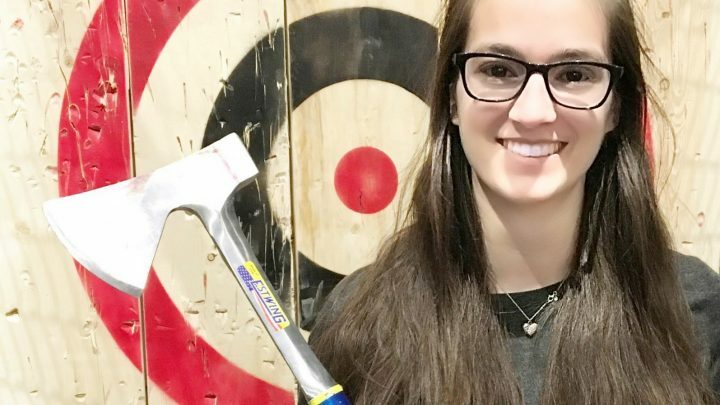 Skilled AXE Coaches facilitate your event from start to finish by teaching range safety, throwing fundamentals of different axes (and knives if you’re lucky), and maybe even trick throws. Events last about 2 hours with players participating in short (but epic) matches, giving you plenty of throwing and social time. Bring your friends, closed-toe shoes and a fun-first attitude. We’ll supply everything else, from axes, targets and prizes, to food and liquor service. View our Safety Policy here. Our AXE Coaches are obsessed with safety, we’re great at parties, and our high-fives will blow your mind. Choose an event type and date below to proceed. This calendar is for booking Private Events for minimum 6 people or more. All bookings will run for our standard 2 hours unless otherwise notified. For smaller parties, click the “Drop-In” tab above, or drop-in any Wednesday @6pm, Friday @7pm or Sunday @2pm! 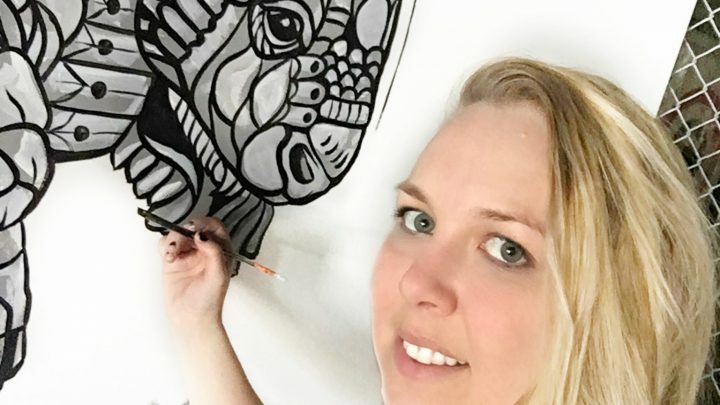 Send us a message, or call us if you’d like to reserve a spot in our drop-in nights and save $5 off the door price. This calendar is for booking Drop-In events for Wednesday @6pm, Friday @7pm or Sunday @2pm! Send us a message, or call us if you’d like to reserve a spot in our drop-in nights and save $5 off the door price. For larger parties, click the “Private Events” tab above! Send us a message, or call us for further questions.